Milan was one dream city on my travel list and thanks to my girl @AndyKate, we organized #meetmeinmilan a few months ago. I was able to spend five nights in Milan two of which were at Principe di Savoia after a work stint at MICAM with IgersItalia. The “ugh, why go there?-city” is in fact an “um, why have you not gone yet-city”. 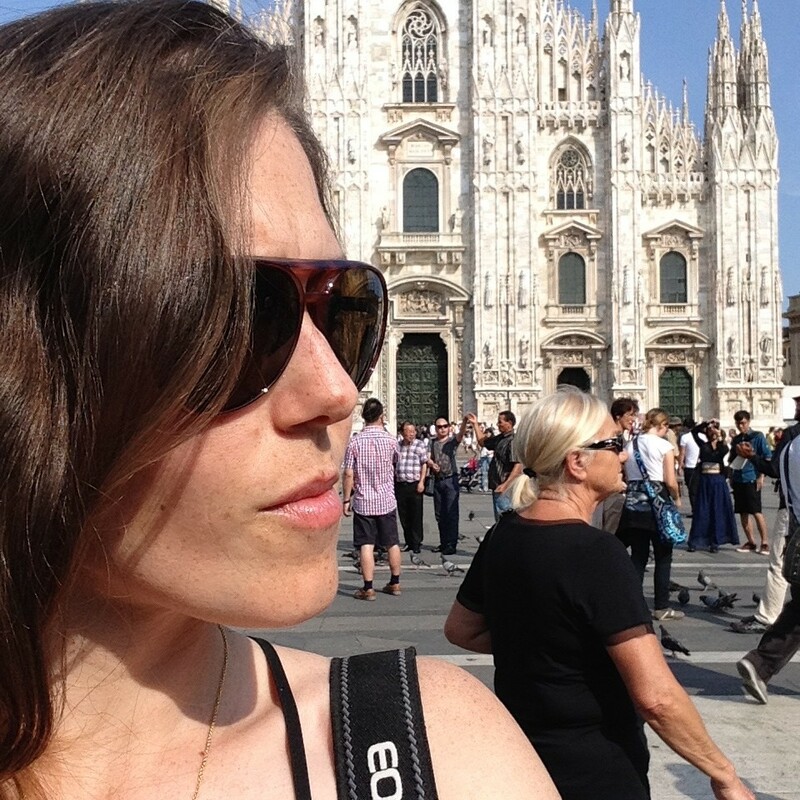 I’m here to show you the #NoFilter side of Milan with some Instagram tips, ready? 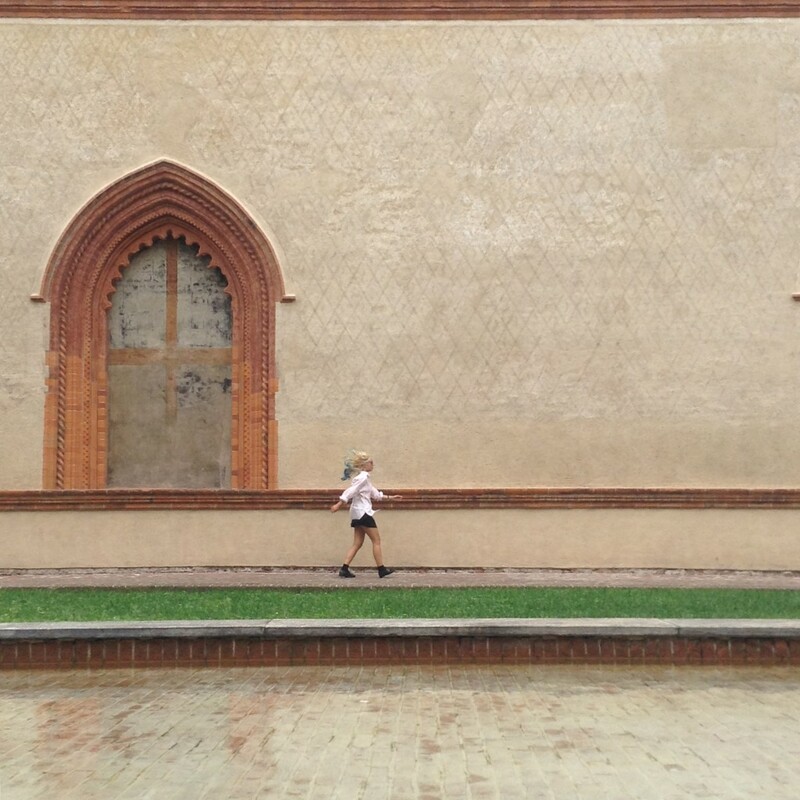 #NoFilter Milan is actually an Instagram project organized by the London City Airport. They’ve been featuring a few #NoFilter destinations like Madrid, Dublin and Switzerland. The purpose is to get away from all the filters and revert to the more traditional sense of photography. Also, many other bloggers are giving their good ol’ college try at sharing their non-filtered images because Ms. Adventures in Italy is judging the winning shot… winner gets something good, electronics! I took many photos with my Canon dSLR, but here are images I took on my iPad mini—yes, I was THAT girl, but now I have an iPhone 6 after not having a cellphone for three years! These images are not messed with, just the first image was cropped. See the filtered version here. I love a good stride-by shot. Andy knows how to perform when needed, so thanks for the adorable stride-by Andy! This shot was taken at Castello Sforzesco. It’s a great open space to take portraits or just architecture shots. Instagram tip: Be patient and have your subject try multiple versions of stride-bys. I have about 5 versions of this stride-by. 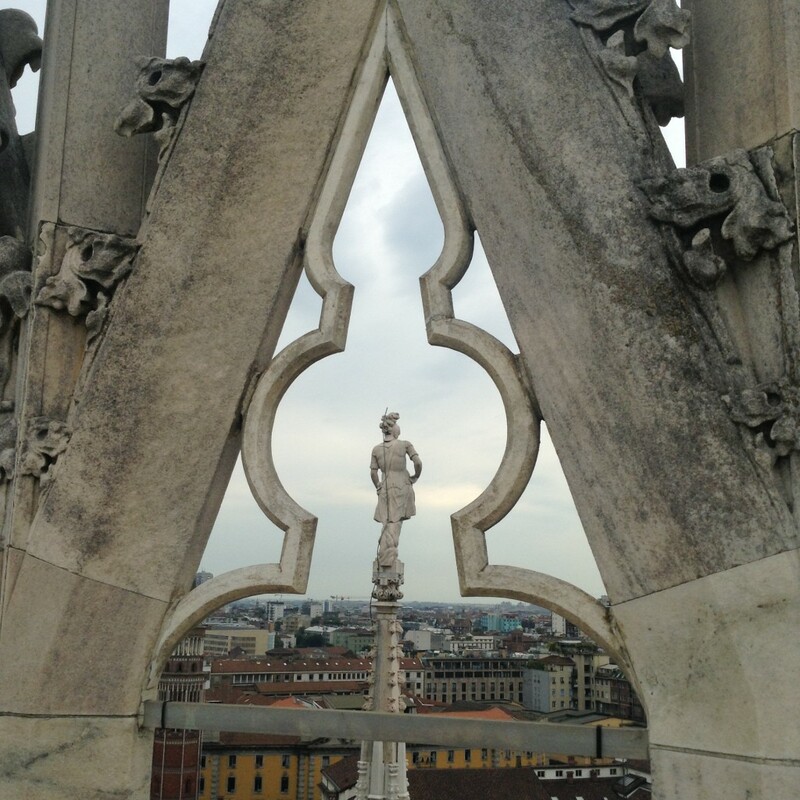 The Duomo in Milan is probably the most photographed thing in town, so why not shake things up? I love a façade shot, but I was hoping to share something different with my followers, and I love to push my style. Instagram tip: Challenge yourself to see things from a different perspective, always! Light affects everything… to have light or to lack light, it’s fundamental. 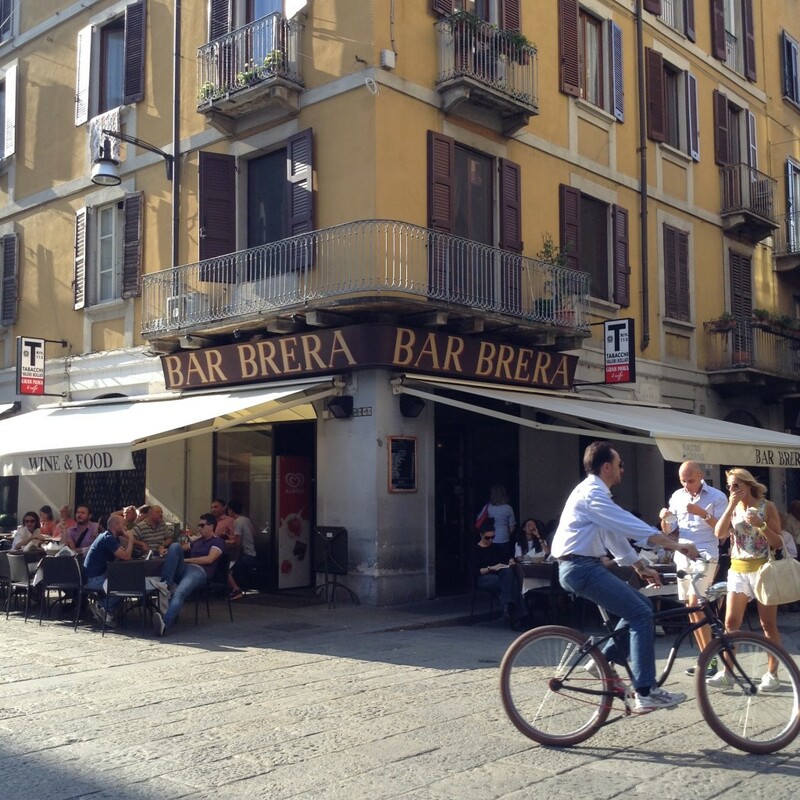 In this case, I was walking through the very cool neighborhood of Brera with Andy and I saw this corner. It had everything I love: a bicycle, fonts, symmetry and light. Light truly makes me happy, it always catches my attention and when I was a photography student in New Orleans I was known to be obsessed with shadows. My friends made fun of me, but I knew it was special… light and negative space. Instagram tip: Light doesn’t last forever, so when the light’s good then GO SHOOT! There are quality shots all over Milan, even when you think you’ll post a photo of food sometimes the exterior of the restaurant is just as fun. I had an amazing time drinking white wine and stuffing myself silly with fresh seafood platters at Pescheria Mattiucci… this place deserves it’s own article! P.S. Thanks to @elisagram for the foodie hook-up! Instagram tip: Keep your eyes peeled and see what details call your attention. Play with cropping, since you don’t always need the whole façade, bicycle, or whatever you’re shooting. If you follow me on Instagram, then you know I’m not a selfie-kinda-gal, BUT I do love portraits and if you ever see one of my shots with myself or others I try to capture a moment in a unique way. Again, Andy Kate worked it for me. We explored the bathroom at Principe di Savoia, which has mirrors facing each other allowing you to take infinity shots. In this case, I just settled for an Alice in Wonderland moment. I love it! Instagram tip: Just because Instagram publishes images in squares doesn’t mean that you have to be a square yourself, so loosen up and direct your subject to try something different. What Instagram tips would you add? Any #NoFilter shot you love the most? Pin those pics and share these tips! Head of Social Media & Content for some of the largest national gifting brands based in Southern Oregon. 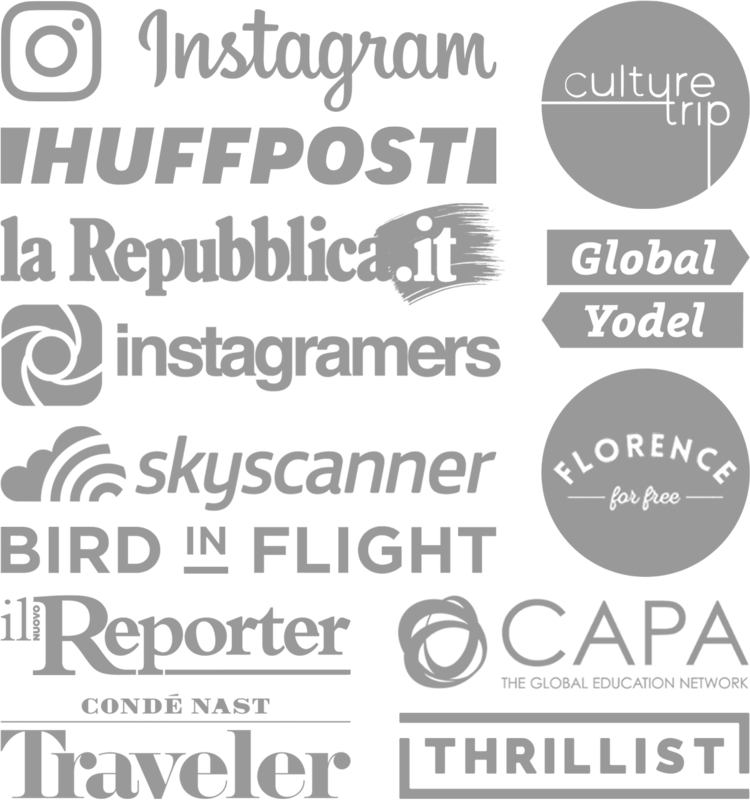 Past life as a travel blogger in Florence, Italy, so you'll find quite a mash up of fun and informative content here! 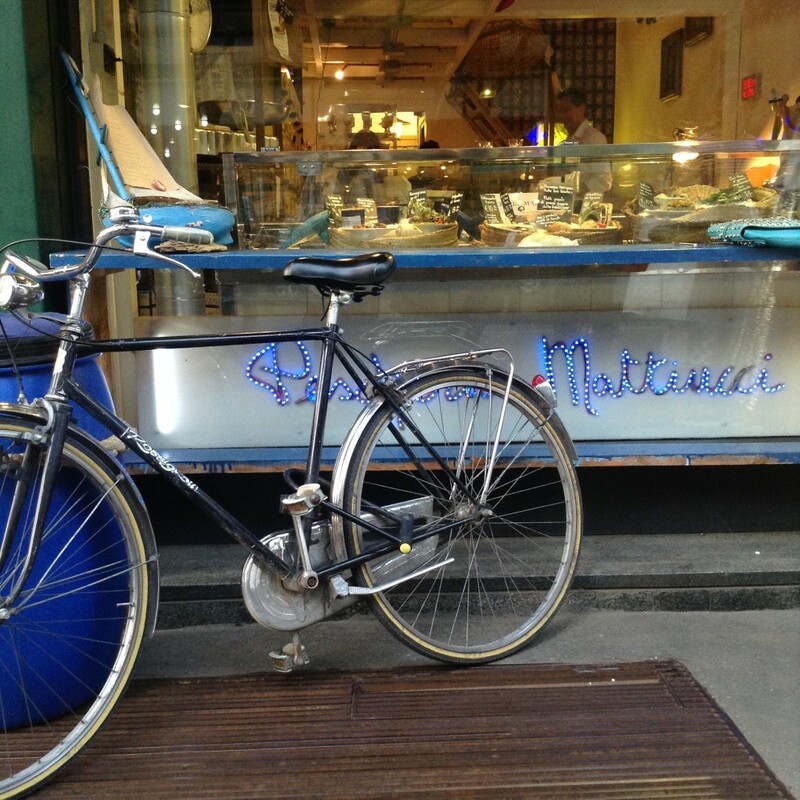 From 'how to ride a bike like an Italian' to 'Instagram analytics'. LIKE what you read? Great, share this post! Where To Go Tubing in Jackson Hole, Kids Or Not! Happy Anniversary Week to me! Thanks, hope they inspire some shots. Recently started an Instagram account…great tips! Thanks, I’m in love with Instagram and the community behind it! Love this post Tiana- I always enjoy your IG pics!